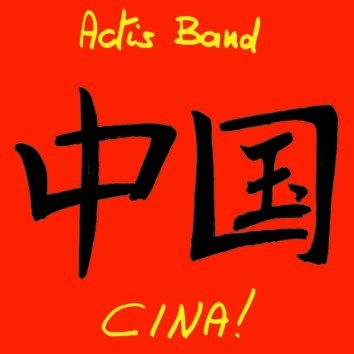 LEO RECORDS: CD LR 497: Actis Band - Cina! This is the third release by Actis Band on Leo Records with the same line-up as the first CD "Garibaldi" which sold out within first six months of the release. What's it all about? Exploring the musical world with no borders and visas. Looking constantly over the horizon. Why "Cina!"? Because tomorrow is the question...... and China is the future! Looking around for every sound with creativity, respect, and the spirit of exploration... As on two previous discs there are 10 original compositions by Carlo Actis Dato played with power, precision and wit which are the trademark of Carlo and his band.